Tanzanite often has several different shades of the violet blue color, and the vivid, dark blue of these stones makes these tanzanite stud earrings really stand out. Crafted in 14K white gold, the blue of the tanzanite, which is a genuine stone from Apples of Gold Jewelry, looks simply beautiful. The 2.5mm AA rated stones are round cut gemstones, and the earrings feature friction push back closures that will help make sure the earrings are secure when being worn. 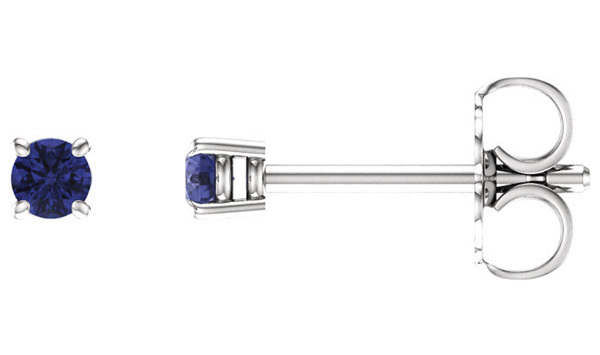 We guarantee our 2.5mm Tanzanite Stud Earrings, 14K White Gold to be high quality, authentic jewelry, as described above.